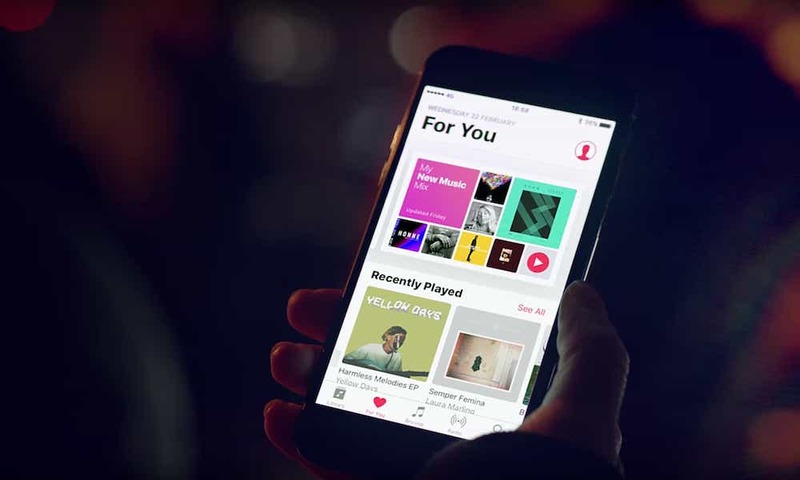 If you’ve ever taken advantage of Apple’s promotional 3-month Apple Music trial offer, but perhaps weren’t convinced that the music streaming service is worth the money, then you might be in luck. For the last few months, according to a growing number of Reddit users, Apple has been offering some customers who’ve previously tried — but never actually subscribed to — Apple Music the opportunity to give the music streaming service another chance by offering them an additional month of access for free (a $9.99 value). 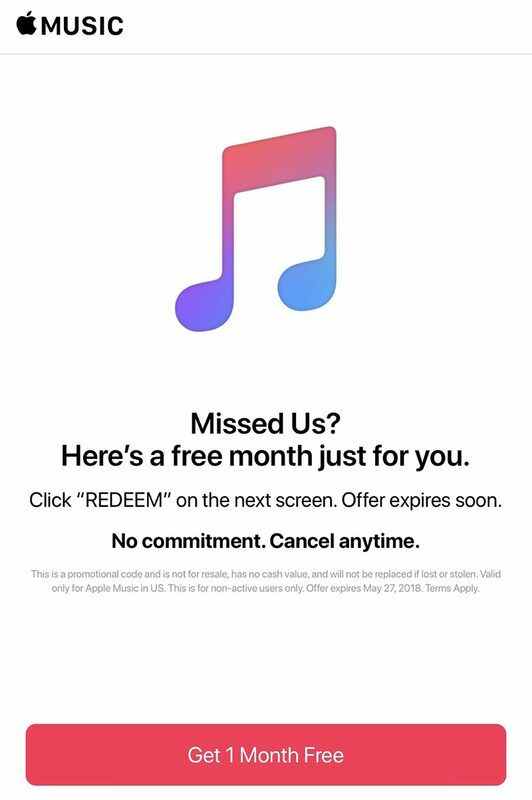 “Come see what you’ve been missing in the new Apple Music, like a simpler design that makes finding what you want, and discovering new music, easier than ever,” Apple has purportedly encouraged in a marketing email occasionally sent out to previous Apple Music subscribers, which contains a unique code to redeem the offer inside. In addition to emails, Apple has been alerting iPhone users in the United States, Canada, United Kingdom, Hong Kong and other countries via iOS push notifications with a similar offer, which those who receive can tap directly on their iPhone and, by going through a series of steps, redeem it. It’s unclear what the exact terms and qualification guidelines entail, however MacRumorsnotes that the offer may be limited to users who trialed Apple Music but never subscribed before the company introduced the refreshed version for iOS 10 back in the fall of 2016. It’s also unclear if the company’s offer is available to customers who used their three-month trial, paid for a period of time thereafter, but went on to cancel their subscription. But the promotion has been going on for several months now, as confirmed by Redditusers who’ve taken advantage of it — though it appears that the only way of being able to do that is by simply waiting, hoping you get lucky and receive that email or iOS push notification one day.